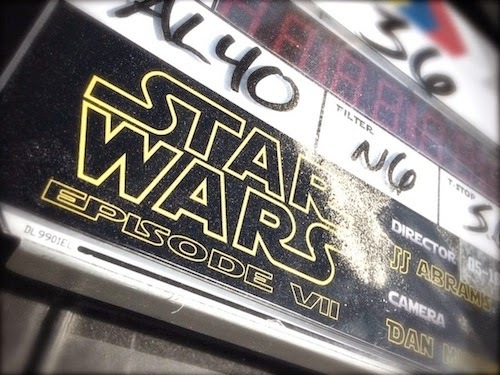 Generation Star Wars: Filming on Star Wars: Episode VII has begun! Star Wars: Episode VII began shooting today according to this tweet from Bad Robot! Looks like Abu Dhabi as evidenced by a dusting of sand on the film's clapperboard. Only a few weeks ago photos were posted online showing what appeared to be an AT-AT foot in the desert. 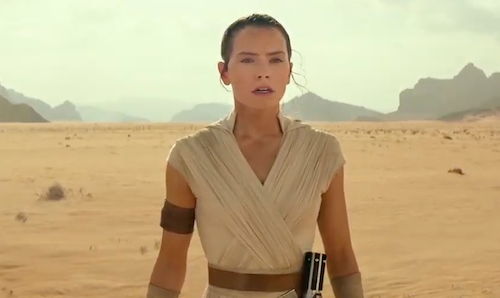 The majority of the new movie will be shot at Pinewood Studios, which also marks the first time director JJ Abrams has filmed outside the US. 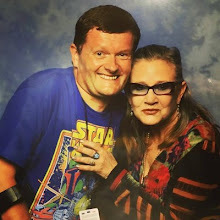 The Ancient Fear (rumoured working title) will see the original principal cast reunited on the silver screen for the first time since Return of the Jedi. Abrams, whose previous films have included Star Trek and Super 8, recently said: "Everyone is doing their best to make the fans proud." Excited for new Star Wars? Let me know in the comments below.